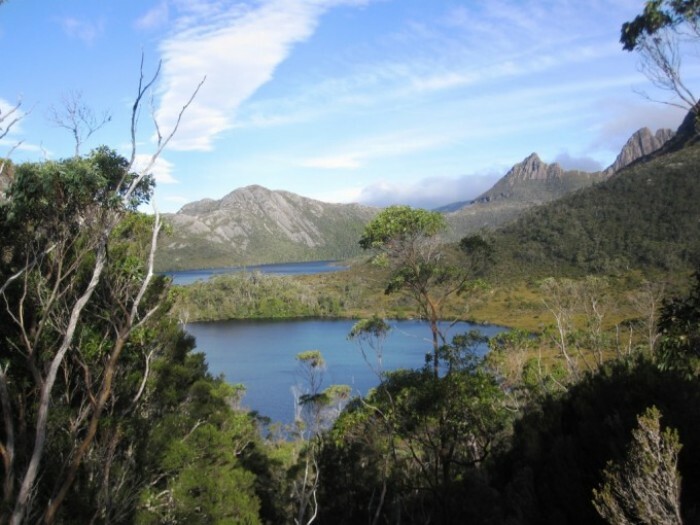 If you want to enhance your wellbeing by communing with nature and really experiencing the great outdoors, few places offer better options than the island of Tasmania. It’s off Australia’s southern tip and too often left off maps of Australia that just show the mainland. 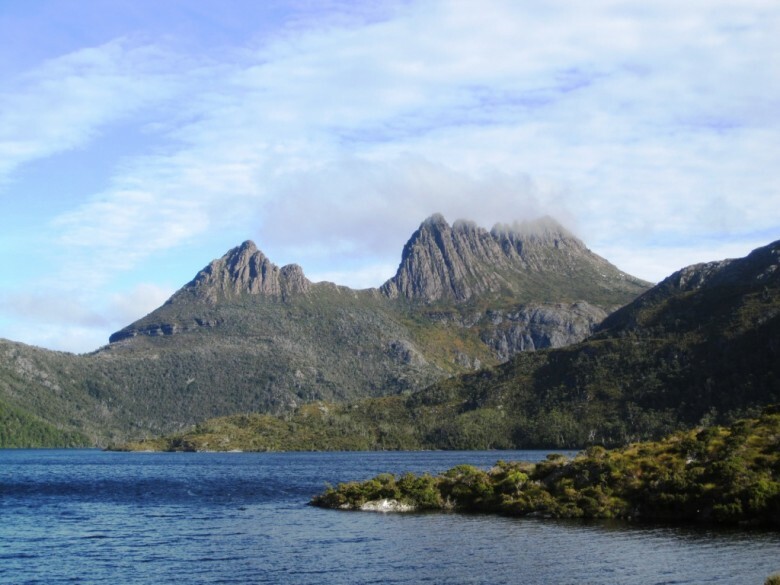 On a recent visit to Cradle Mountain, we discovered why this has become one of the island’s favourite and famed destinations. 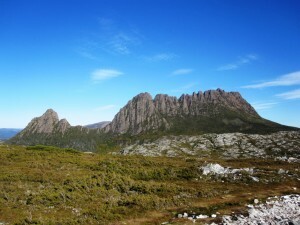 The mountains are not especially high – Cradle Mountain being at its highest just over 5,000 feet. 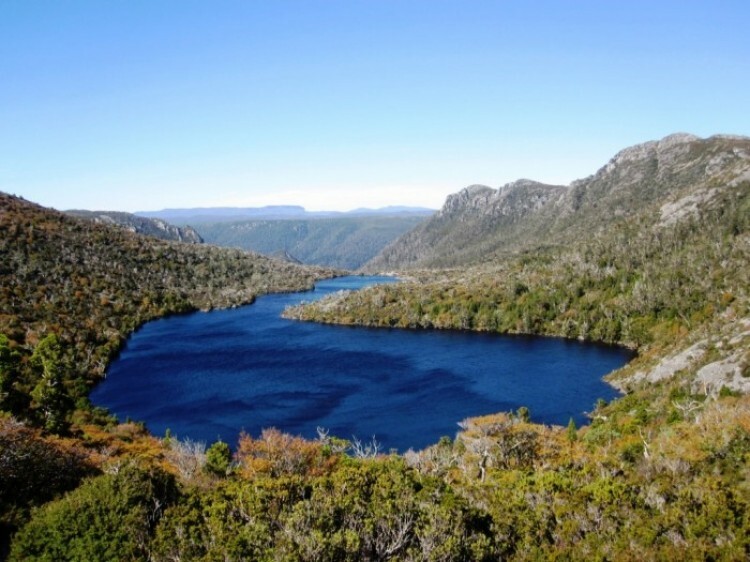 But their steepness, shape, distinct characteristics and the lakes which are dotted through the range, give the whole area a dramatic, picturesque quality. 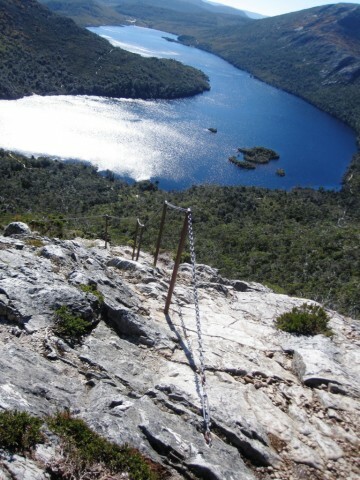 The most spectacular, but very steep, climb up to the base of Cradle Mountain, is via the Face Track, starting at Dove Lake and requiring pulling yourself up by chains towards the top. On the way to the Summit! 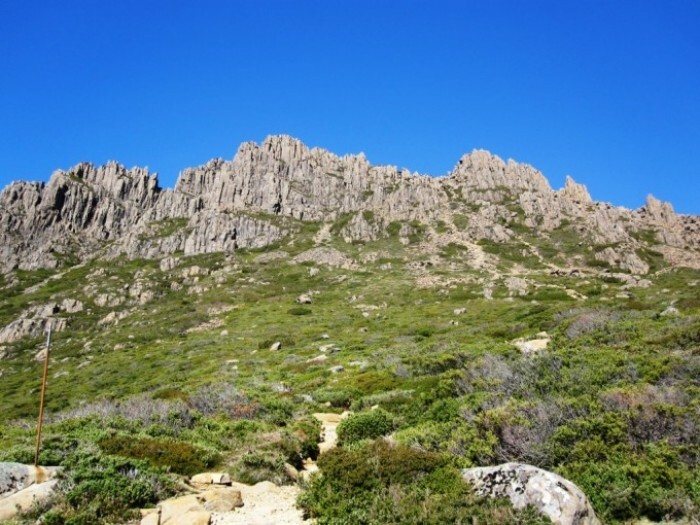 The track up to the Summit is pretty good, but involves some boulder hopping towards the top. Hanson Peak also offers another challenging, but rewarding climb, passing the Twisted Lakes and vistas of even more lakes beyond. 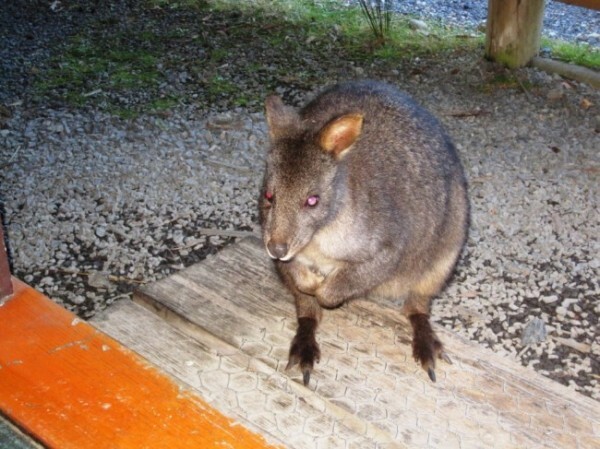 A scraping at the front door of our cabin turned out to be a pademelon wanting to come in and join us by the fire. 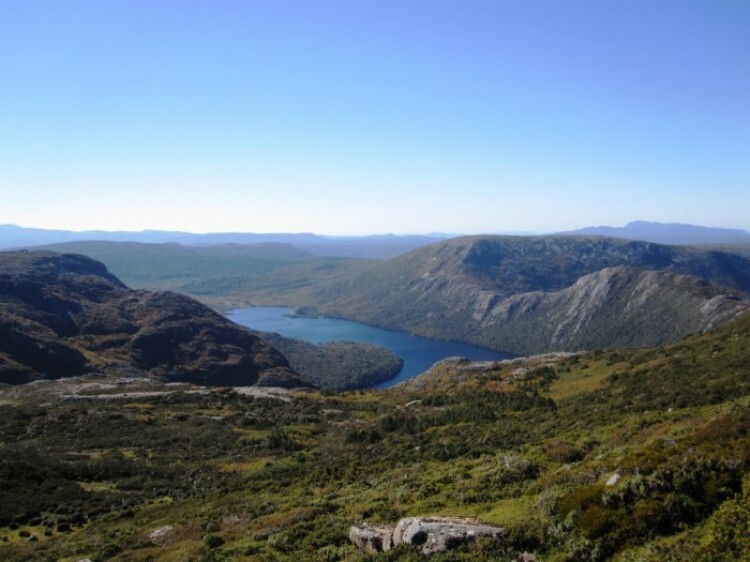 Last but not least, the view of Cradle Mountain on the descent from Marion’s Lookout, with Lake Lilla in the foreground and Dove Lake below it. It’s hard not to be inspired. And not to be happy. Gee no photo of the hikers? 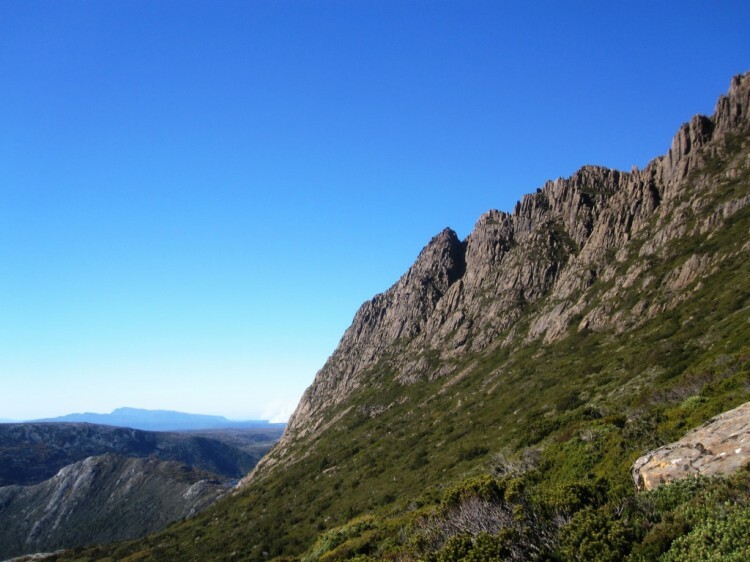 The pain and suffering on the face of one of the hikers would not have helped the photo! My first graduation speech: a very special day Can It Pay to Study What I Love?